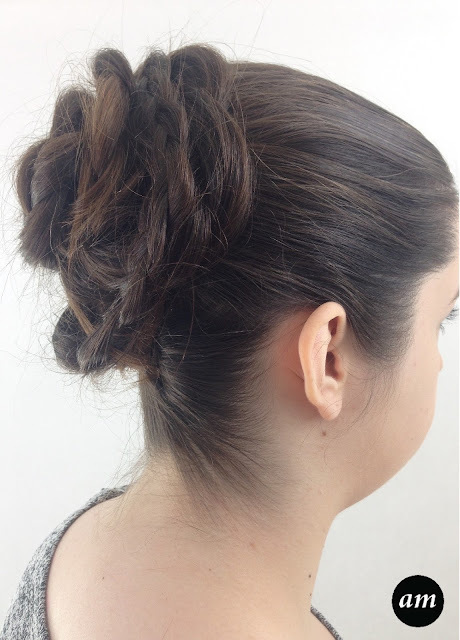 Step 1 Section off your hair just above your ears and tie it in a ponytail at the back of your head. It is best to use clear elastic bands or a bobble that's similar to your hair colour. Step 2 Tie the remaining hair into a ponytail below the one you've just made. Use hairspray to smooth down any baby hairs. Step 3 Go back to the first ponytail you made. Create three ordinary plaits out of the hair. 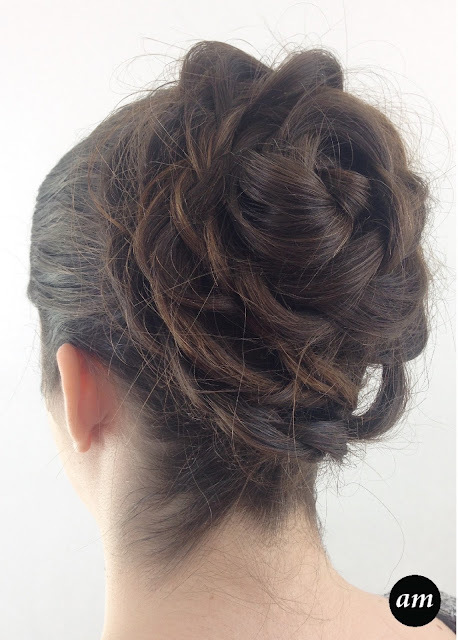 Instead of tying them with elastic, spray the ends of the hair with hairspray and back comb slightly to hold in place. Step 4 Now so the same with the second ponytail but this time only create two plaits. Step 5 Loosen all of the plaits by pulling the hair apart with your fingers, until the plait becomes bigger. Step 6 Take the middle plait of the first ponytail and wrap it loosely around the bobble of the ponytail. Hold in place using hair grips, but make sure you hide them well. Step 7 Wrap the remaining two plaits in opposite directions around the previous plait. 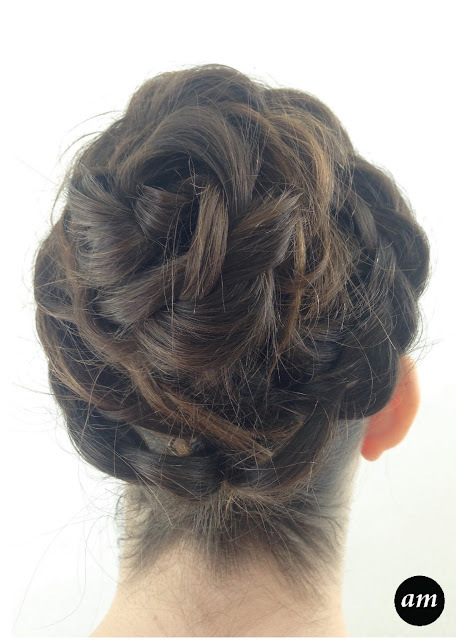 You may need to pull parts of the plaits in certain areas depending on how it's looking at the back of your head. The more plaits you add to the updo, the bigger it should become. Step 8 Now move onto the last ponytail. Do exactly the same with these plaits. You will need to pull them tightly upwards before wrapping them around. Step 9 Spray hairspray on the whole updo and smooth down any fly aways. This looks beautiful!! THANKS FOR SHARING! !